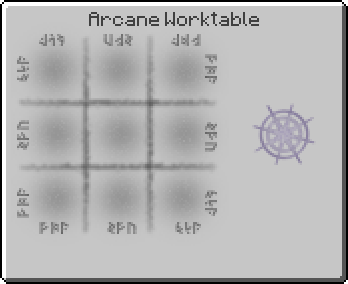 Thaumic Iconograph Box is an item added by the Witching Gadgets mod. It will use Mirrored Glass from the inventory to create an Iconographic Plate attuned to one item or block, which allows to remotely research it. [WG] There is no Imp inside! "Experiments with the magical mirrored glass have shown that under certain conditions, it will not reflect images but store them. Using this to your advantage, you can store thaumic imprints of objects you find on your travels on glass panes. Later then, you can transfer these imprints to paper, in order to share your experinces with other Thaumaturges at the next arcane council. Use the Thaumic Iconograph Box like you would use the Thaumometer. You can create a Iconographic Plate of anything you would usually scan at the cost of a Mirrored Glass from your inventory. You can take iconographs even of things you have previously scanned, but only the use of a Developed Iconograph grants you the research aspects. And this studying of the picture abides by the same rule as the scan with the Thaumometer. Increase the number of ink and paper in the development recipe to create more than one copy of the picture." Thaumic Iconograph Box has no known uses in crafting. The phase "There is no Imp inside!" is a reference to the popular Discworld series of books by the author Terry Pratchett, where iconographs (cameras) are powered by small imps that live inside them. This page was last modified on 4 November 2017, at 12:37.